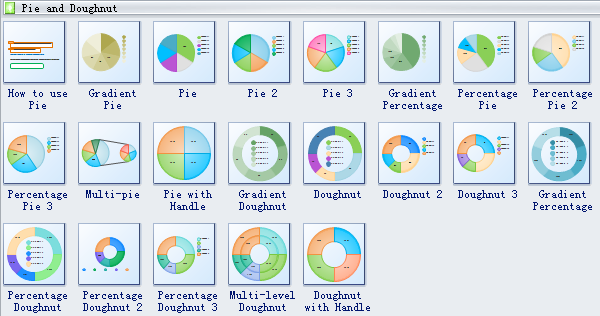 Edraw software provides you lot of special pie and doughnut shapes, gradient pie, gradient percentage, percentage pie, multi-pie, pie with handle, gradient doughnut, doughnut with handle, etc. 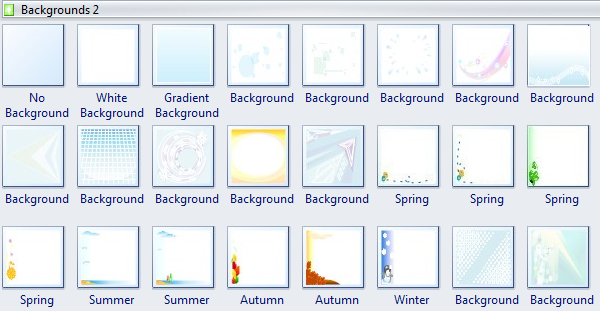 All these shapes will enable you to draw a wonderful diagram. 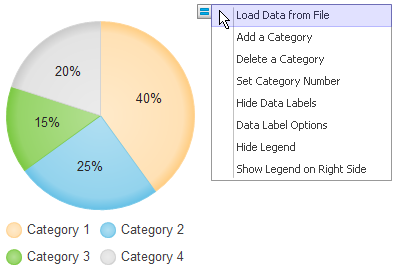 Pie chart shapes like gradient pie, gradient percentage, percentage pie, multi-pie, pie with handle and more are available. Gradient pie is the pie with gradient colors to represent the change or something else. 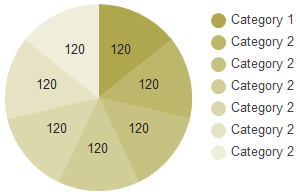 Pie chart is a circular chart divided into sectors, each sector shows the relative size of each value. Percentage pie means dividing the circle into 100 percentage parts and then allocate the number of percentage parts required for each item. The above shapes are smart ones with floating action buttons. Users can edit the shape quite easily by clicking the floating menu. It appears when you rest the cursor over the floating button. The percentage value and shape are interactive. Right after you enter a new number, the shape will adjust itself automatically. Double click the label to change the data value. Need fresh looking pie chart symbols for your design? These pie chart symbols are a cinch to pop in. And their crisp, fine detail will make spectacular, easy-to-understand diagrams and presentations to your customers.